Entrepreneurs survive by growing their blog business each and every day, month over month, year after year. 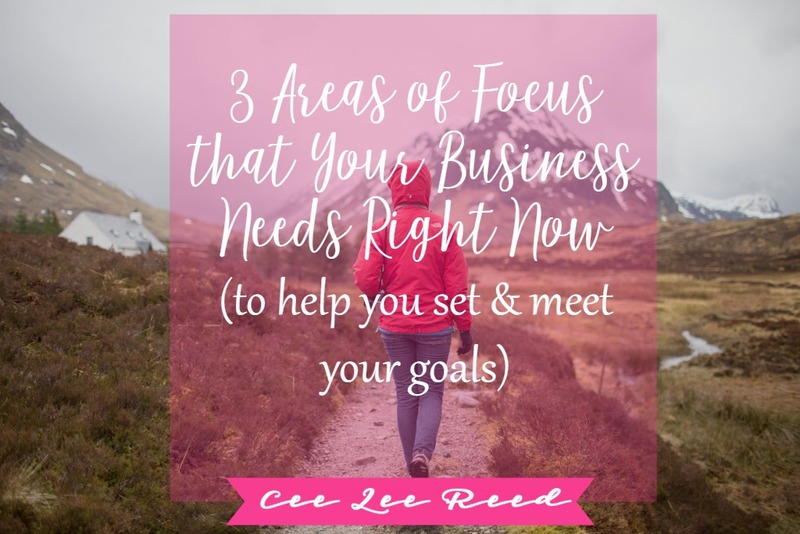 Growth is necessary for your blog and can be an easy process if you decide on 3 areas of focus that your business needs right now. The easiest way to determine what’s important enough is by setting standards for your business that are always present. Once you’ve narrowed down those focus areas, then set your goals to enhance them. It’s always easy in January to establish your goals for the year ahead but take a step back and really spend time thinking about what areas of your business need to be set in stone first. Once decided, your growth goals will become easier to manage because you will have established a foundation first. 1. Get more clients. You do this by creating products or services (or both) that your readers can’t resist. Always solve your readers problems with your ebooks, online courses or coaching packages. 2. Create free opt-ins. 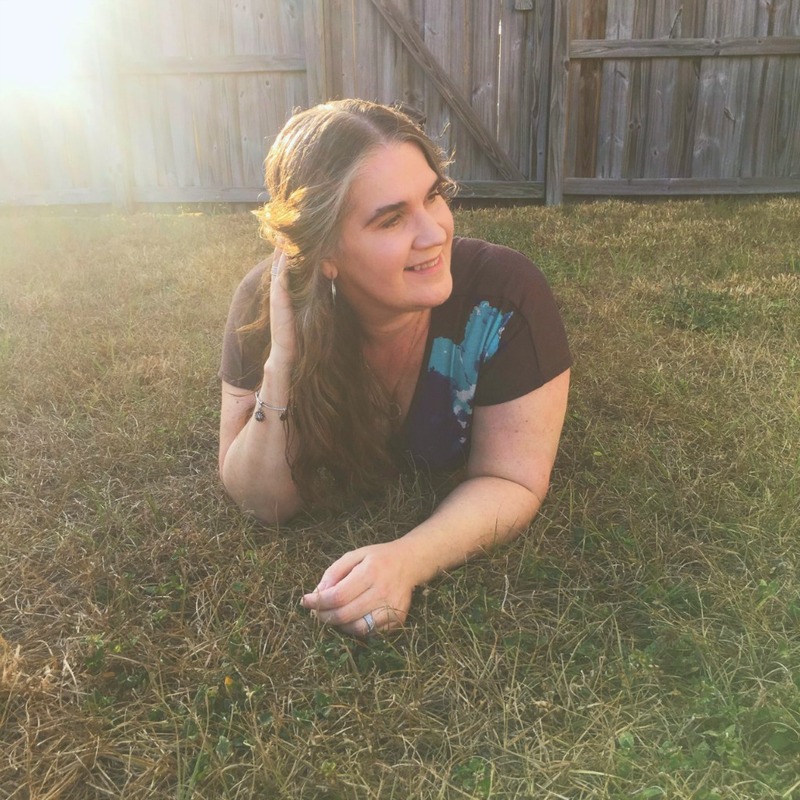 This will entice people to join your email lists and learn more about you. Once they “know, like and trust” you; they’ll spend money on #1. 3. Upsell. Strategize ways to earn more income with the products and services you already sell to the people that are already buying. TIP: It’s far easier to get a second purchase from the original buyer. 4. Know your numbers. What amount is “more” for your business? Review, memorize and commit to always knowing where your business stands. Some areas of focus that your business needs are: subscribers, unique visitors and sales per week. 1. Blog regularly. It doesn’t matter whether you decide to write blog posts daily or once per week; just be sure to create content so that the blogosphere can find you. 2. Show up on social media daily. Your clients are lurking online and in Facebook groups waiting to hear your expertise. Areas of focus that your business needs right now are: Facebook Live and Pinterest. Confucius say: Facebook Live will send your client’s running to you faster than hiding behind slideshows. 3. Get media attention. This is easier than you think when you use your expertise to respond to media inquiries or simply provide them with opportunities to interview you. I have been interviewed by most media outlets to include NBC News and national TV hosts like Dr. Phil and Katie Couric. Work with me and I’ll show you how to get media’s attention. Areas of focus that your business needs right now are: HARO (Help A Reporter). 4. Collaborate. Instantly introduce yourself to new readers by having a trusted partner work with you on a campaign. Find another blogger whose audience you’d like to help with your services and agree to offer them a valuable product. You support their audience and everybody WINS. Which do you prefer? Working with strangers or someone that was recommended by your friend? Collaborate! 1. Create a vision. Know exactly where you want your business to grow to this year. Don’t worry about five years from now, think about those areas of focus that your business needs right now. 2. Make a decision. Decide today that nothing is going to stop you. I grew a very successful business that blogs while working a very demanding position for C-level officers. It can be done. 3. Commit. Full disclosure: it’s not easy. Commit to doing whatever is necessary to keep going. Affirm your choices every damn day until you believe in yourself. Remove obstacles (even old friends if need be) that tell you “it’s not possible”. Commit to you. All else will fall in line. 1. Set SPECIFIC goals for each focus area. 2. Make sure the goals are MEASURABLE. 3. ATTAINABLE goals will seem far away at first so don’t let that scare you from making them. 4. Goals that RELATE to your vision will be much easier to work on. 5. Give every goal a TIME LINE and you will know when you’re finished. 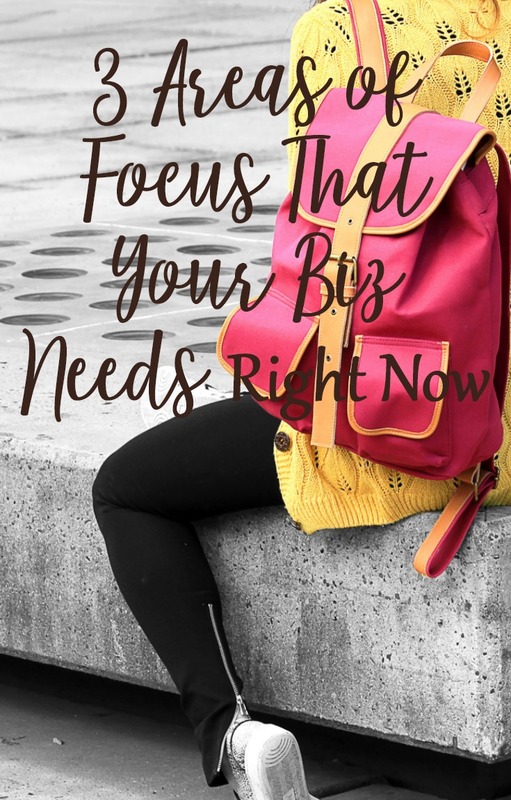 Spend time this week writing down the areas of focus that your business needs right now are. Choose a focus that resonates strongly in your soul. Only you know what you want for your business. Dig deep. Discover your needs. Write them down. Set goals that are aligned and strengthen the foundation you’ve just built. 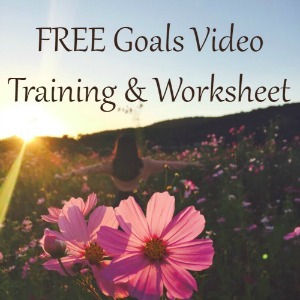 PS: Read this post for ideas on how to set goals that you’ll actually achieve.